Home > FAQ > What to do if I am totally new? What to do if I am totally new? September 19, 2018 February 26, 2019 Faucetspro™️384Leave a Comment on What to do if I am totally new? To get started you will need a wallet. I suggest use Binance, but you can use any wallet(google it). It will provide you with wallets for FaucetHUB. Once you have your wallet addresses go to FaucetHUB and create an account. Once you have a FaucetHub account, log in and click on wallet addresses and add your addresses for every currency. These will be the addresses you use to claim on faucets. 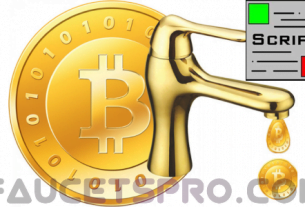 You are now able to make money from any faucet on Link and collect FREE money. When at a faucet you will enter your address, there are usually Captcha, ReCaptcha or Solvmedia, these are for human verification. There are many kinds of faucets, Some have instant payouts and some are miners. Once you have claimed you should see the deposit on your FaucetHUB account! It’s really that simple to make FREE money. Participating in chat on FaucetHUB is a great way to earn more free coins! (they call it rain). These screenshots will help you. You can try to claim above Faucet. Congrats!!! You have claimed. Go to FaucetHub and check your balance. This site is basically for all people who want to earn online passively. We always update our contents and post regularly with new ideas to make our site up-to-date and become more beneficial for you. The Trail Blazers took a 3-1 lead over the Thunder in their playoff series on Sunday. "We just got to finish it," Damian Lillard said.